Can an epidural affect your hormones and mess with bonding? Many expectant mums think about having an epidural. But there might be an unexpected side effect. For many Australian women when they think of giving birth one of the first things they think of is having an epidural. But, how many are aware of the impact this routine labour procedure can have on the birth as well as the days following? According to Dr Sarah Buckley, author of Gentle Birth, Gentle Mothering, its effects can significantly alter the course of the birth as well impact a woman’s ability to mother her baby following birth. “It transforms birth into a medical procedure because it alters the hormones effecting the experience of birth, the hormones released after birth and into early mothering and maybe longer term as well. We are meddling with an ancient system designed to give us reproductive success,” Dr Buckley said. However, Dr Buckley said an epidural interferes with that bond by causing a measurable drop in hormones, particularly the hormone of love, oxytocin. Mother-of-two and co-author of How to Heal a Bad Birth: Making sense, making peace and moving on, Debby Gould experienced the impact of an epidural with her first baby. “I was lucky enough to be able to labour for quite a while in an ideal setting with the help of my own hormones and there was a marked difference when I had to have an epidural. Initially (after giving birth) it was confusing because I felt so flat. It felt like there was a gap. She (her daughter) didn’t feel like she was mine,” Gould said. 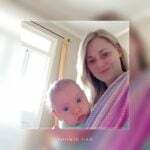 She said it took until about day three for the mothering feelings to kick in and she struggled with breastfeeding. “The transition into motherhood is hard and if you miss out on those hormones it effects everything from the bonding, breastfeeding, your ability to put the baby’s needs first and your fulfilment with monotonous tasks,” she said. According to Dr Buckley during labour there is a feedback cycle where the sensations of labour feed back to the brain and uterus to give stronger contractions. “If you abolish the sensations with an epidural you abolish the feedback cycle and labour slows down so you need synthetic oxytocin. You also reduce the oxytocin released in the brain which has calming and pain relieving effects and switches on instinctive mothering which involves activating the pleasure and reward centres,” she said. Royal Australian and New Zealand College of Obstetricians and Gynaecologists president, Professor Stephen Robson, said he always talks through the pros and cons of an epidural with his patients. “There are lots of implications with having an epidural, but sometimes it’s the thing that allows you to have a vaginal birth,” he said. “In some circumstances, it slows down labour, but sometimes the baby can be in a bad position and it allows you to rotate the baby. It does up the chance you will need an instrumental delivery but it also allows women to have a vaginal delivery,” Professor Robson said. He felt the impact of epidurals was well understood by obstetricians. “The so-called effect on hormones is variable. I tell people it can be a bit unpredictable and no two people have the same experience,” Professor Robson said. For women who do have epidurals Dr Buckley said it was still possible to produce the mothering hormones and turn on the pleasure and reward centres in the brain. Always having the baby in the room with you at the hospital. More information on the impact of epidurals and how to reduce the effects if you have one can be found on Dr Sarah Buckley’s page.